Over the past 16 years as a tour guide, I’ve been lucky enough to spend collectively eight months in Paris almost all of which I stayed walking distance from Notre Dame. During this time leading trips for Travel For Teens, I’ve led hundreds of students and adults to the top of the bell towers and through the cathedral. Yesterday, my social media feed was filled with alums from the program describing how they clearly remember their visit. That is the power of Notre Dame. When we travel to new places, there’s a good chance that if there is an important religious building there such as a church, shrine, or mosque, it probably will be on our itinerary. We build these places up to be special ahead of the visit. The real power comes from a spiritual place that is unforgettable. Notre Dame sits in the literal center of Paris on one of the two islands once occupied by the Parisi tribe for which the city is named. As you approach Notre Dame from any angle in Paris, the sheer size and beauty of the cathedral overwhelms any visitor. 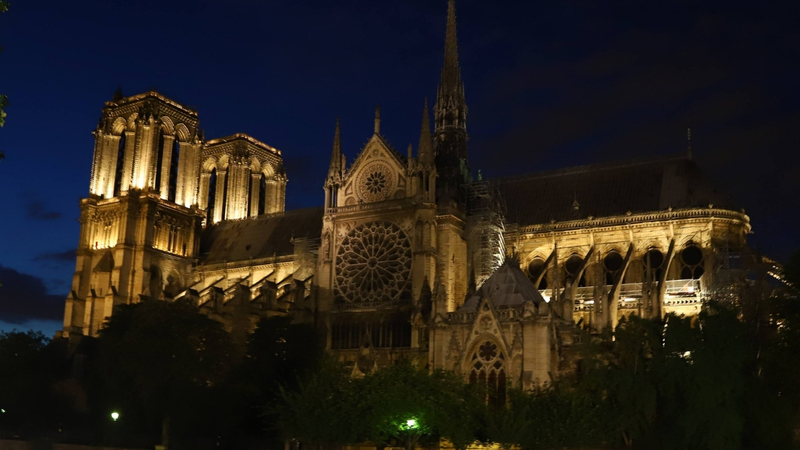 Most visitors usually just go inside while the more intrepid traveler climbs up the spiral stone staircase of the towers for a birds-eye view of Paris as well as an up-close view of several of the gargoyles, the massive bells, and of course the spire. As you enter inside Notre Dame, the scale of the building, the vaulted ceilings, massive columns and brilliant stain glass takes your breath away. As you walk around, behind the naive and through the colonnades, you realize you are seeing something that is not only 800 years old but quite possibly the most stunning building you’ve ever been inside. As those of us who had visited before watched the fire rip through the building and fell the spire, all of us mourned the loss of something special and beautiful. The connections we form with places we only visit once can stay with us for our lifetime. What’s more is that at the time, we recognized it was beautiful but no-one could fathom at the time they visited that it was something that might not be around forever. This summer I will return to Paris with another group of students. I will bring them to Notre Dame and this time, their experience will be one of learning about the legend of Notre Dame in the aftermath of tragedy. We must all remember that some of the most important things in this world are never as permanent as they appear. Article and Photo by Conshohocken resident Ned Clark.